Play Crystal Odyssey online for free now! Heads up gem lovers: This is the ticket for a journey into the infinite vastness of space where the most beautiful jewels are waiting to be discovered! Dare to venture into space in Crystal Odyssey and complete your collection of minerals with a particularly precious crystal: It sparkles in the most beautiful colours and pushes up your Twist balance! 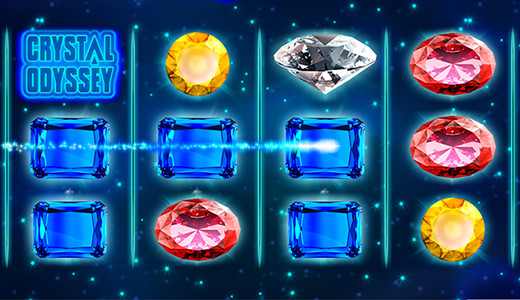 You score Twist winnings that are out of this world in Crystal Odyssey by landing 4 matching symbols along the win lines that run from left to right. Lines 1 to 5 run across reels 1, 2 and 3, lines 6 to 10 run across reels 2, 3 and 4 and 3 lines run across all 4 reels. The colourful crystals are the Joker symbols: They only appear on the fourth reel as a combination of 3 and substitute for all symbols except for Scatter. If there is no win, the crystals will remain in place for the next spin. 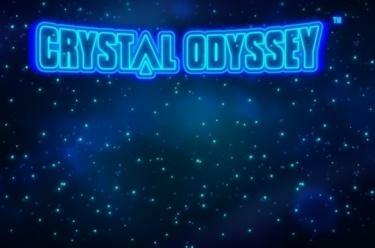 The 'Crystal Odyssey' logo is the Scatter symbol: If it lands 3 or 4 times in any position on the reels, 10 or 20 free games are triggered. 3 or 4 'Crystal Odyssey' logos (Scatter) trigger 10 or 20 free games with the line number of the basic game. 3 crystal symbols remain in place on the last reel during the free games. They substitute for all symbols during the free games, even the Scatter (he will only be substituted once) When 3 or 4 more Scatters land, you win further free games (a maximum of 300).